Daughter Jodi, son-in-law Steve and grandson Scott are here for a visit from Arizona. Late Thursday morning with near perfect weather, we took the boat and went to the Lake. Not expecting a lot we were pleasantly surprised. We fished the outside of Pine/ Curry Island back trolling with crawlers in 9-11 feet of water. We found fish almost immediately and they were on the bite. 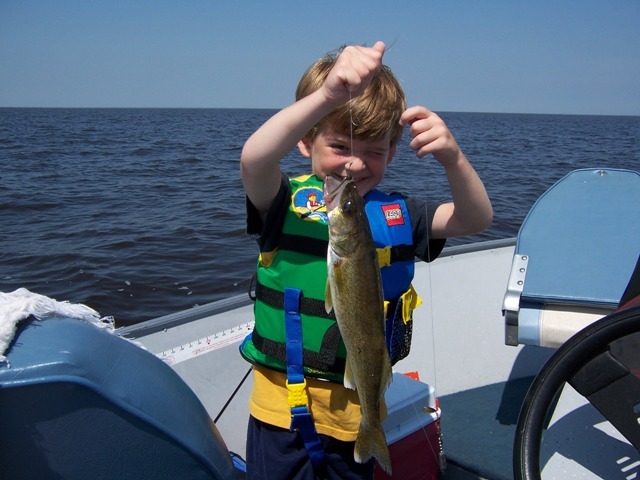 We had three nice walleyes in the boat within minutes. 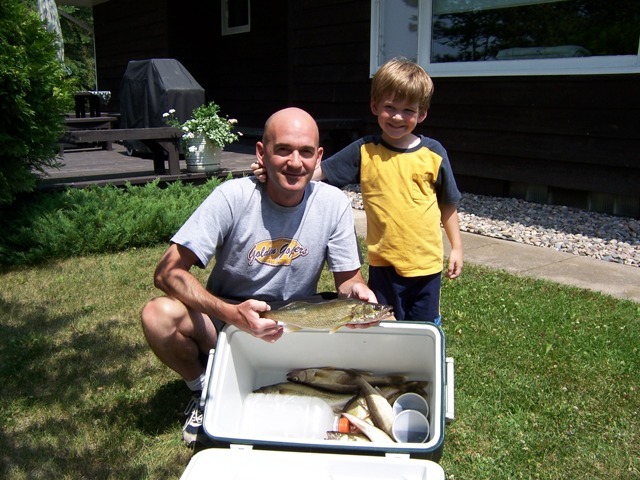 We must have caught 20 walleyes and kept 8 in about two hours of fishing. Six of those we kept were in the 14-1/2″ to 16″ range. 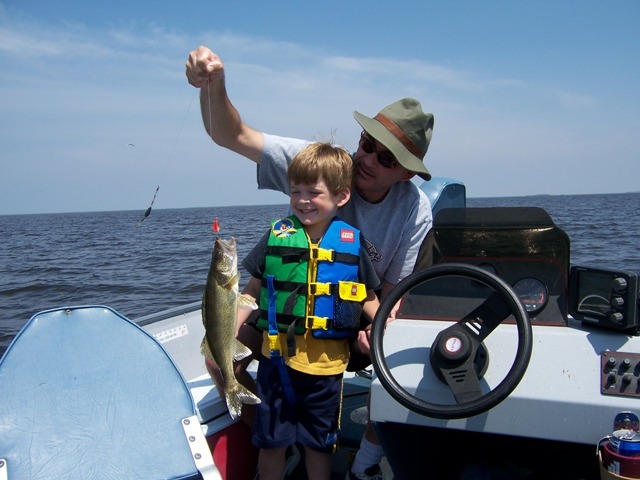 Scott, who is four, enjoyed reeling in several. It was a great day.